We had a nice time at my brother's house last weekend to celebrate my mother's birthday. My brother and his fiancé have...FIVE dogs! I have new respect for the pet photographer...this is as good of a shot of this group I could get. 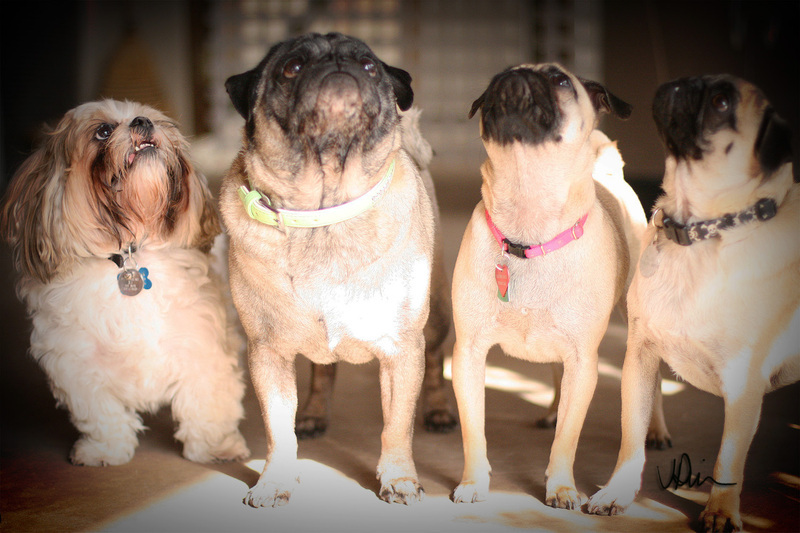 That's my dog "Ichiro" on the left.. followed by Pugsy, Ally and Cujo respectively.